Browning has always been a solid manufacturer of classic rifles, shot guns and handguns that works diligently to meet the needs of customers. Subsequently, they offer many model variations within each of their product lines, each refined to fit a more specific application. 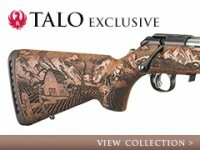 The Browning X-Bolt Micro Midas is one of these shooter tailored models….